SmartHR, a Northern Virginia HR solutions firm, recently published a blog post that describes how companies can hire an HR consultant. A human resources consultant is responsible for helping a company use its workforce as efficiently as possible. They provide high-level administrative support, interpret human resources policy, maintain communication between employees and managers, and advise companies on the best way to implement policies in a business. They also inform employees of these policies and their effects, and ensure that the company remains compliant with them. An HR consultant can be instrumental in maintaining your business as a welcoming place to work. HR best practices and policies can be difficult to understand or invent, and a consultant can help you understand exactly what is required of your business. Thanks to their extensive knowledge of human resources best practices, HR consultants can also ensure that you are always in compliance, avoiding potential lawsuits and other damages. Employing an HR consultant can also save you time and money. While it may be possible for you to maintain your own HR department and oversee policy implementation, this can be a time-consuming and expensive process that typically required a full HR department. Having a dedicated HR consultant to manage communication, implementation, and updating regarding policies instead of doing it yourself or maintaining a large department can be a cost-efficient and time-saving measure. HR consultants should enjoy working with people to improve companies. They must have theoretical and practical knowledge of HR policy and complete a bachelor's or master's degree in human resources management or a similar program. HR consultants should also be trustworthy, able to improvise, good listeners, and able to explain complex concepts in a simpler way. These qualities allow an HR consultant to attentively and intelligently manage any situation that may arise with tact and expertise. 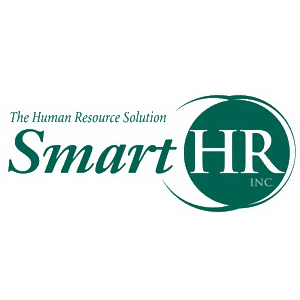 SmartHR provides customized HR management solutions to organizations that are located in the DC metro area and have between 10 and 150 employees. Its team of consultants can complete a variety of services, including HR policy implementation. Get in touch today for more information about hiring an HR consultant for your company. SmartHR can be reached at 703-739-0909 or online at http://www.smarthrinc.com/. The firm is headquartered at 917 Prince Street, Alexandria, VA 22314.